The Health Service Executive has unreservedly apologised to the family of a two-year-old girl who died after a hole in her heart went undiagnosed. Aimee Keogh of Glenbrook, Old Singland Road in Limerick, died in the grounds of University Hospital Limerick on 10 July 2014, as she was being transferred to Our Lady's Children's Hospital, Crumlin in Dublin for a specialised cardiac procedure. She had been admitted to hospital after suffering a number of seizures. Limerick Circuit Court heard today that Aimee died as a result of the negligence of the HSE, when medical personnel at UHL failed to properly diagnose a congenital heart defect. An ECG carried out on 3 June 2013 was passed as normal when it was in fact abnormal. The court heard that had it been properly diagnosed Aimee should have been referred to paediatric cardiologist. There was also further failure to act on a suspicious X-ray taken in March 2014, just four months before Aimee died. 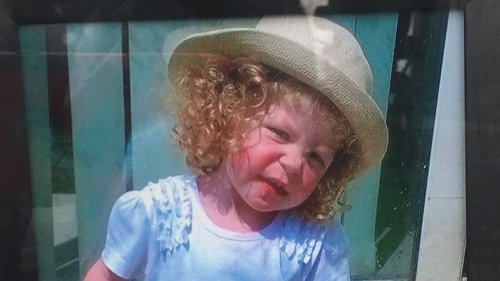 In a letter read to the court, the HSE apologised unreservedly to Aimee’s parents, Deirdre and James Keogh, for the hurt, stress and upset caused by the tragic death of their little girl. It said that that "regrettably aspects of her care did not reach the standard expected". Judge Eugene O'Kelly today approved what is known as a solatium payment of €35,000 to Aimee’s parents, her brothers, Ben and Luke, and her grandfather. This was the highest payment under statute, which can be made at the Circuit Court. He also approved a further specified payment of over €5,000 to Aimee's mother. Judge O'Kelly said when medical mistakes happen they can have tragic and devastating consequences. He said hopefully the apology will bring some comfort to Aimee's family and help to ensure this type of mistake does not happen again. He said the sum may seem paltry considered what it is paid for, but the court can only award what is allowed under statute. Following the award, Mr Keogh appealed to the Minister for Health to appoint a paediatrician with a special interest in cardiology to be made available at all hospitals throughout the country so that no other family has to go through their heartbreaking ordeal. He said they set out to get answers for what happened to Aimee and they believe they had achieved that today.